NatCon is the nation’s premier behavioral health conference, bringing together more than 5,000 industry leaders to explore proven solutions and new innovations in care. Connect with Beacon at NatCon19 by visiting us at Booth #841 in the Solutions Pavilion, and join our presenters below for perspectives on combating the opioid crisis, the benefits of peer support services, the future of parity, and more. TLunch9: Tuesday, March 26, 1-2 p.m.
Sarah Arnquist is a vice president of client partnerships with Beacon Health Options. Arnquist’s work focuses on designing and implementing programs to deliver mental health and substance use services. 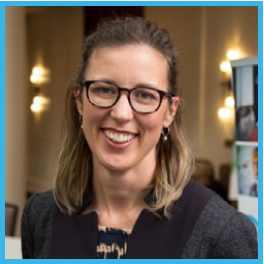 Prior to joining Beacon, Arnquist worked as a health care policy consultant and at Harvard University’s Global Health Delivery Program, where she studied international models of large-scale health care delivery. As a newspaper reporter in Northern California, Arnquist won numerous journalism awards for her coverage of health and social welfare issues and has been published in many outlets, including the New York Times and Harvard Business School Press. Arnquist has a master’s degree in public health from Johns Hopkins Bloomberg School of Public Health and a bachelor’s degree in journalism. Workshop D12: Tuesday, March 26, 3:45-4:45 p.m.
Sherrie Bieniek, MD, has been a medical director with Beacon Health Options since 2004. 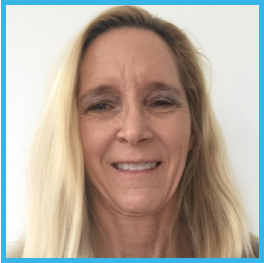 She is also a private practice psychiatrist who specializes in the chronically mentally ill. Dr. Bieniek attended the University of Miami school of medicine and completed her residency at the University of Miami/Jackson Health Systems. 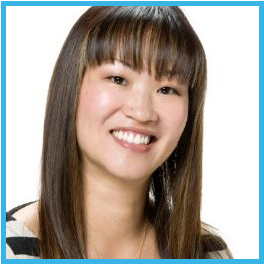 Workshop D11: Tuesday, March 26, 3:45-4:45 p.m.
Inna Liu, LCSW, is the assistant vice president for account partnerships at Beacon Health Options. Liu is a licensed clinical social worker with more than 10 years of experience in community mental health and management. She received her master’s degree in social work from the University of Southern California with a specialization in industrial social work. Liu spent most of her career in community mental health working with children, youth and families who were multi-systems involved. She has worked in child welfare, juvenile justice, special education and adoption. For the last three years, Liu has led the development of crisis systems in Washington to transform the user experience from detention to prevention. She has experience as a program executive managing program and staff development, organizational mergers, employee relations and external messaging about employee competencies and market specialization in a growing organization and industry. 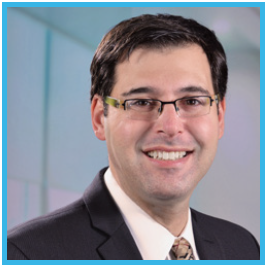 Workshop E16: Wednesday, March 27, 9-10 a.m.
Brad Lerner, JD, is associate general counsel and director of parity compliance for Beacon Health Options. 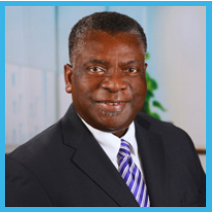 He is a practicing lawyer and government relations professional with more than 20 years of public and private sector experience analyzing and addressing regulatory issues, including complex legal and policy issues in health care. Among his duties at Beacon Health Options, Brad creates strategies to implement Mental Health Parity and Addiction Equity Act of 2008 (MHPAEA) and health care reform. Brad advises and reports regularly to senior executives on health care reform developments. Brad is seen as a leading expert on MHPAEA analysis and compliance, having led numerous panel discussions and speaking engagements. Brad holds a bachelor’s degree in English from the University of Michigan and a Juris Doctor from Wayne State University Law School. Don’t miss the Beacon Poster Presentations! 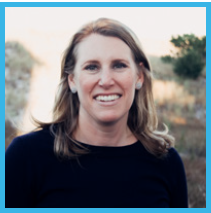 Poster P27, Group2 : Monday, March 25, 12:30-1 p.m.
Amy Pearlman is the vice president for clinical provider strategy at Beacon Health Options, where she works to integrate Beacon’s clinical vision with network providers. Throughout her career, she has transitioned between provider and payer settings with a goal to improve access and health for individuals and families. 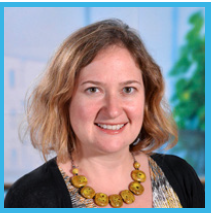 She is an independently licensed clinical social worker in the state of Massachusetts, with a master’s degree in social work from Smith College, and a bachelor’s degree in psychology and spanish language and literature from Brandeis University. 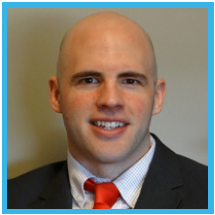 Poster P29, Group 2: Monday, March 25, 12:30-1 p.m.
Christopher Bory, PsyD, is a senior research scientist at Beacon Health Options for the Connecticut Behavioral Health Partnership and is a licensed clinical psychologist. Dr. Bory’s work is centered on the application of administrative data to inform practice and utilization management strategies. He specializes in data analytics, data visualization, outcomes evaluation, implementation of evidence-based practices and quality improvement methodology. Dr. Bory completed his post-doctoral fellowship at the Child Health and Development Institute of Connecticut and at the Consultation Center at Yale University, his pre-doctoral training at the University of Pittsburgh and his doctoral training in clinical psychology at the University of Hartford’s Graduate Institute of Professional Psychology. Robert W. Plant, PhD, is a licensed clinical psychologist who received his master’s degree and doctorate from the University of Rochester and completed psychology fellowships at Yale University Medical School. 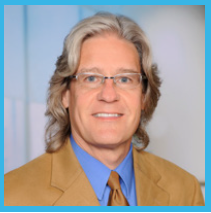 Dr. Plant is the senior vice president for analytics and innovation at Beacon Health Options and has held various positions overseeing behavioral health programs and statewide systems for the State of Connecticut and various private nonprofit organizations. His professional and research interests include self-determination theory, real-world implementation of evidence based practice, measurement based care, health equity, treatment of opioid use disorders and research using big data. His recent publications include “The Handbook of Adolescent Behavior Problems,” and national presentations at the American Academy of Child and Adolescent Psychiatry’s 2017 Annual Conference and the 31st Annual Research and Policy Conference on Child, Adolescent and Young Adult Behavioral Health. Poster P89: Group 4: Tuesday, March 26, 1:30-2 p.m.
As the vice president of wellness and recovery for Beacon Health Options, Clarence Jordan leads the company’s national wellness and recovery program, responsible for putting into operation Beacon’s commitment to recovery-based principles in the delivery of behavioral health services. Jordan is a former naval officer and his recovery journey is chronicled in last year’s edition of National Council Magazine’s “50 Years, 50 Stories of Recovery” special issue to commemorate the 50th anniversary of the Community Mental Health Act. Jordan also received the Consumer Leadership Award at the Substance Abuse and Mental Health Service Administration 2010 National Voice Awards, as well as its 2012 Voice Awards Fellowship. In 2014, the National Council for Behavioral Health named him its peer specialist of the year. Lisa Kugler, PsyD, is passionate about improving the health care system so that it is possible to holistically meet every individual’s needs. She believes in recovery and everyone’s ability to live a fulfilling life. At Beacon, Dr. Kugler serves as the vice president and chief executive officer of the Maryland Engagement Center. She is responsible for the overall management of the Maryland Engagement Center, including ensuring contractual compliance, overall fiscal responsibility to ensure budgetary goals and providing strategic leadership within the market to promote growth opportunities within Maryland. 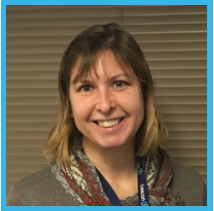 Monday, March 25, 12-12:25 p.m. and 12:45-1:15 p.m.
Monday, March 25, 3:45-4:15 p.m.
Julie Fine, MSW, LICSW is the SVP, Clinical Strategy and Account Management for Beacon Health Options. In this role, she is responsible for managing the clinical strategy for multiple clinical products, as well as building and maintaining Beacon’s Centers of Excellence in Autism, Peer Recovery and Wellness, and Opioid Use Disorders. Prior to this promotion, Julie oversaw the Clinical and Quality teams for Beacon’s Northeast Region. Julie has been part of the clinical management team that has helped define the clinical work of Beacon across the country. For two years, she oversaw the Outpatient Department, including the psychological testing team and the aftercare/clinical support team. Her other responsibilities included the strategic and operational development of the clinical team, including all aspects of utilization management and case management. She received her Master of Social Work from The University of Maryland at Baltimore and a Bachelor of Science in Human Development and Family Studies from The Pennsylvania State University. She is a Licensed Independent Clinical Social Worker in the Commonwealth of Massachusetts. Tuesday, March 26, 12:30-1 p.m. and 1:30-2 p.m.
For the full agenda and more details on these sessions, visit NatCon19. Follow us on Twitter, Facebook, and LinkedIn for views from the conference and more.